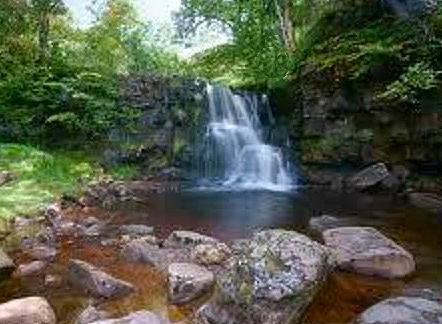 Hamsterley Forest, on the edge of the North Pennines Area of Outstanding Natural Beauty is one of Durham's most popular visitor destinations. The forest is a delightful 2000 hectare oasis, sprawling along the sides of a sheltered valley. Visitors to Hamsterley have no shortage of options when it comes to forest adventure or a tranquil getaway from the hustles of modern living. From wildlife watching and dark sky gazing to adventure play and high octane mountain biking, there is something here for everyone. The forest is one of the Northeast's premier mountain bike destinations, with over 2000 hectares of forest to explore on 33 miles of waymarked trails and countless more miles of seldom travelled forest road. There are three official routes: Blue (moderate), Red (Difficult) and Black (expert) all of which are waymarked with colour-coded marker posts. A number of Mesolithic, Neolithic and Bronze Age flint tools have been found in Doctor's Gate Quarry. 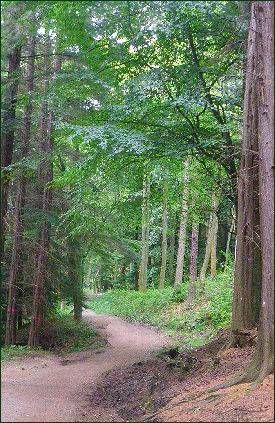 An area of the forest is probably the site of a fifteenth century iron ore processing site. An area next to Linburn Hall Wood was the site of a medieval convent. On-Site café/restaurant - Open daily March to October and school holidays, weekends only during winter. Picnic Site and full mountain bike hire facilities.